This beautiful 4 bedroom, 4 bathroom home in Trailmark offers crown molding, maple cabinets and recessed lighting throughout! From the moment you walk in you will notice how light and bright the dining room is thanks to the 2-story ceilings, large windows and plantation shutters. Spend cold nights cuddled up next to the gas fireplace in the family room, while watching a movie in the built in entertainment center. A unique master suite offers vaulted ceilings, as well his and her closets and a luxurious 5-piece bathroom equipped with a soaking jet action tub and walk-in shower. 2 secondary bedrooms upstairs and one in the basement provide plenty of space for guests! Other features include a large laundry room with hardwood cabinets and a utility sink and an attached 2- car garage. The unique neighborhood of Trailmark offers 17 acres of walking trails, lakes and community and is surrounded by 1500 acres of open space. 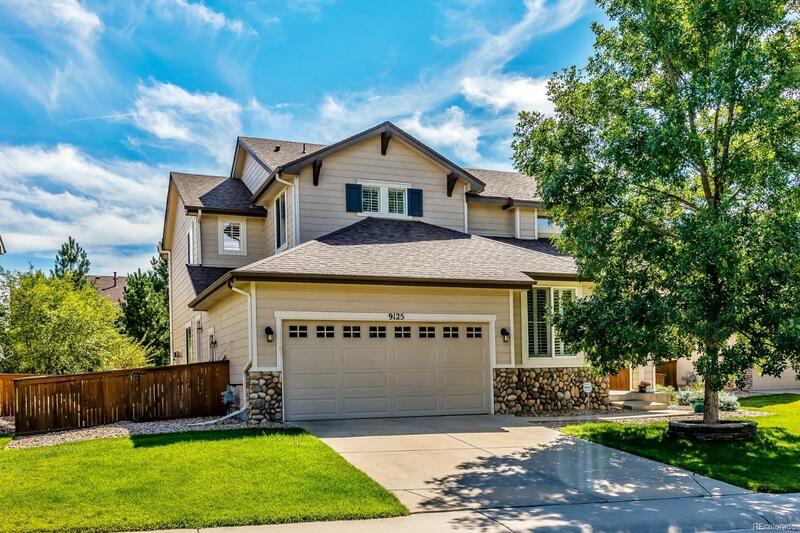 Easy on and off to C-470, shopping, light rail and outdoor activities.